Rhyzer 48 Ideal for strong attacking spin players - the hard 48 degree sponge has huge dynamics. Out gun your opponent with dangerous winning loops and counter topspins without losing touch in your precision play. 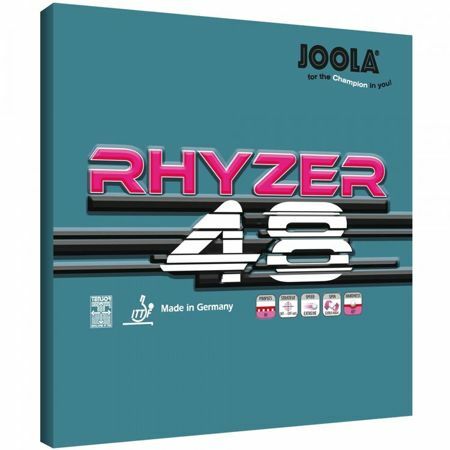 JOOLA Rhyzer 48 Table Tennis Rubber The Rhyzer range features the very latest 'pimples in' technology. Where the pimples beneath the rubber surface adjoin the sponge, a special rubber geometry has been used with the pimples being very short, thin and widely spaced. The result is that the new big pore 'rose' sponge can be thicker and still comply with regulations which consequently provides added power. The soft rubber incorporates Geo-Grip technology which provides added grip increasing both the spinning potential and feel. 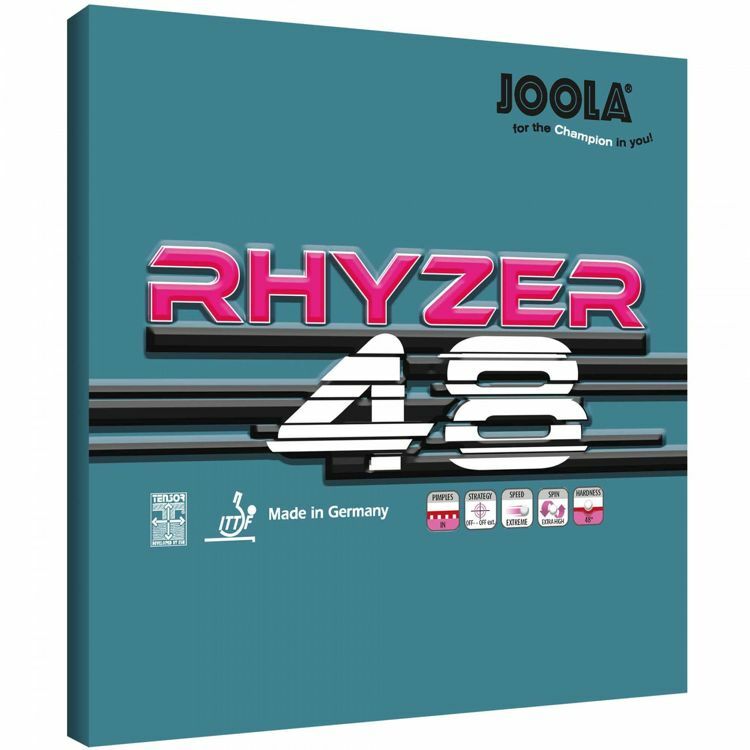 Rhyzer 48 Ideal for strong attacking spin players - the hard 48 degree sponge has huge dynamics. Out gun your opponent with dangerous winning loops and counter topspins without losing touch in your precision play.